Everyone and everything is now online. When attracting storage customers, self-storage business owners should focus on maintaining and building their online presence. Using social media and having a mobile-friendly website is just the beginning of providing a positive impact. But there are a few other important factors to think about when representing your business online. You’re ready to go with a solid, useful, and mobile-friendly website. Now, how will customers find you? In a saturated market, attract storage customers using local search practice and search engine optimization (SEO). That ensures your website is will be found by search engines. • Your name, address, and phone number are written accurately and consistently across all places on the internet. • You are consistently checking Google, Yellow Pages, and other referral websites to make sure all your information is correct and current. • You are remaining diligent about maintaining current information across the internet. Whether you ask them to or not, customers are going to review your storage business. It is beneficial to ask your best customers to leave you a review on Google or Yelp. This tactic helps build your digital footprint, and a few glowing reviews can often draw in new customers. • 68% of consumers * will leave a local business review when asked. • Reviews are essential in widening your digital reach. But be aware: More often, those who write reviews without asking can be upset customers. Make sure that you are answering these reviews and using them to create a better customer experience moving forward. Ultimately, if you’re focused on providing high-quality service, give your customers a reason to leave a satisfied review. • Seamlessly connected to millions of online customers visiting uhaul.com and emove.com, including those in your area. • Promoted in more than 17,000 retail locations and are exposed to more than 100 million online hits and 18 million calls every year. 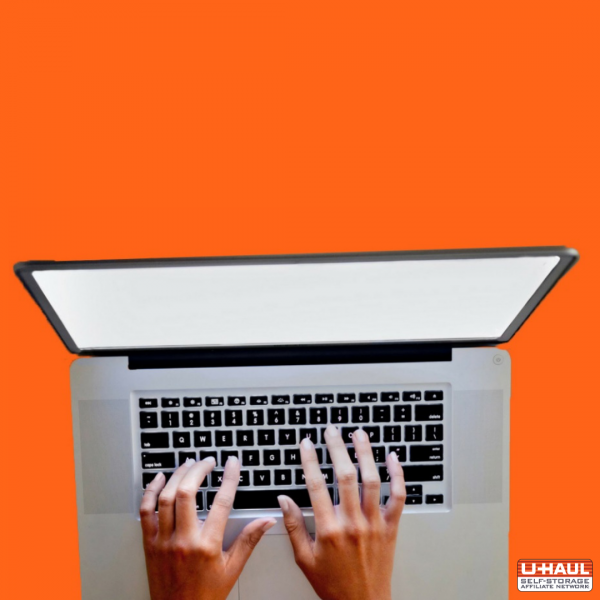 In today’s world, it’s important to be visible online when attracting storage customers. Word of mouth is great, but customers now look to internet reviews and websites for reassurance and confidence in purchasing decisions. Providing clear, consistent information that is customer service focused ensures a positive online representation of your business capabilities. That will provide a reason for future storage customers to rent one of your units. Now that you’ve looked into all the ways you can be more visible online, stay connected with us on Facebook, Twitter, and Instagram. Learn more about WebSelfStorage on our website.